On February 8, 1991, three guys from California founded a company you've likely never heard of, called Silicon & Synapse. 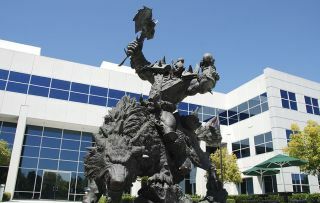 Today, that same company marked 25 years of incredibly successful operation, most of it under a different name you certainly have heard of: Blizzard Entertainment. Blizzard did some cool but relatively unremarkable things in its early days, like Lost Vikings and Blackthorne, but Warcraft: Orcs & Humans in 1994, and then Warcraft 2: Tides of Darkness in '95 really set things rolling. After that came Diablo, StarCraft, World of Warcraft, years of sequels and expansions galore, and in more recent history, Hearthstone and Heroes of the Storm, both of them big hits in their own right.